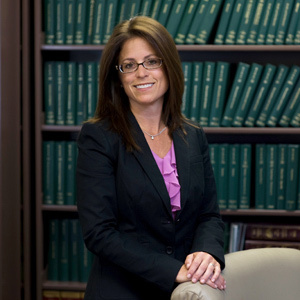 Jennifer S. Krimko is a partner with the Firm. She concentrates her practice on all areas relating to real estate, and represents a wide variety of clients in all phases of governmental approvals from site plans, subdivisions and variances before municipal planning and zoning boards to environmental and regulatory approvals at the county and state level. In 2013, Ms. Krimko served as the Borough Attorney for the Borough of Interlaken. Ms. Krimko received her B.S. from Monmouth University and her J.D. from Rutgers Law School-Newark. Immediately following her graduation from law school in 1998, Ms. Krimko served as a law clerk to the Honorable Lawrence M. Lawson, Assignment Judge of the Superior Court of New Jersey, Monmouth County.